OttoWerks Delrin OEM/Stedebani/GNT/Bain/MK1 (Mookeeh) shifter bushing Group Buy. What's more romantic than being able to hit the right gear every time? Valentine's day bump! Just bought a car and shifter is loosey goosey. I need to figure out which shifter is in there. Car has a lot of aftermarket parts so need to dig into it. After 2+ years of use it's still solid, tight, and holding up perfectly. Sounds good, keep me posted--I'd be glad to help you out. If you can measure the ball diameter (when the bushing is removed) I can identify it. Basically, the MK1 is the black sheep at 11-12mm diameter, and the rest of them (aftermarket and OEM) are 14, iirc. Thanks Allen! That's a big help--where I don't have the car anymore it's hard to validate how well these work beyond its performance on paper versus other materials. Where Allen has his on an OEM unit, it's thinner than a MK1 (wall diameter of the bushing on those is thicker since the ball itself is smaller in diameter), so his is a worst case scenario for wear and tear. Pm returned, yours are on their way tomorrow. Thanks! Haven't gotten to drive it yet after putting this in, but I can sit in it and close my eyes and think about ripping second. Really though, it feels a million times tighter with this on the stock shifter ! 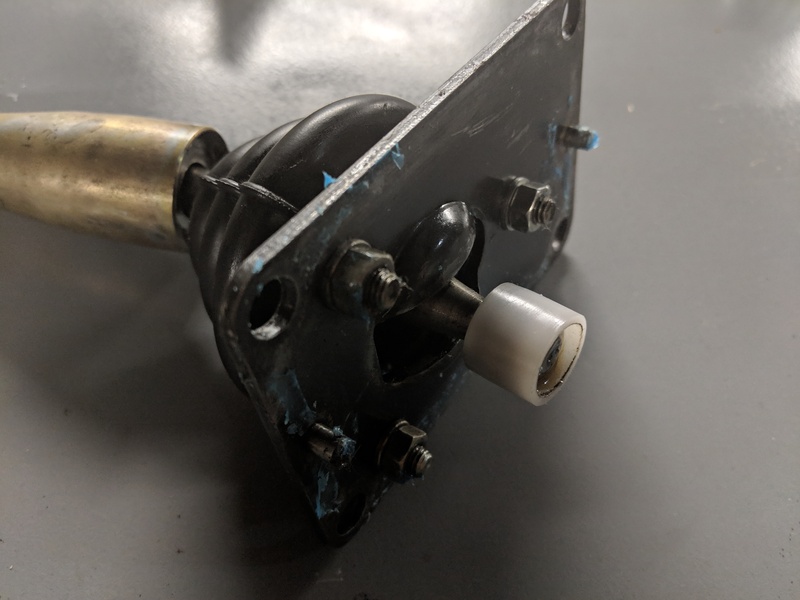 Im interested in an oem shifter bushing, all I have is a plastic ball on the end on my factory shifter, is that the bushing itself or is it a cylinder bushing? I loved the mk1 ones I purchased from you! Still holding up perfect! To my knowledge, the OEM shifter is a plastic ball that slides into a cup of sorts that serves as a bushing. Allen (speedyquest) photo is of an Ottowerks bushing installed on an OEM shifter. To double check, I would request OEM shifter owners going forward measure their plastic ball diameter. Should be around 16mm, as the sleeve it goes into in the transmission is roughly 18. My bushing presses on and takes up the space. Its more noticeable when a mk1 bushing fails since their ball diameter is only 11-12mm and induces more slop. Edited by polarisman14, Yesterday, 06:56 AM.